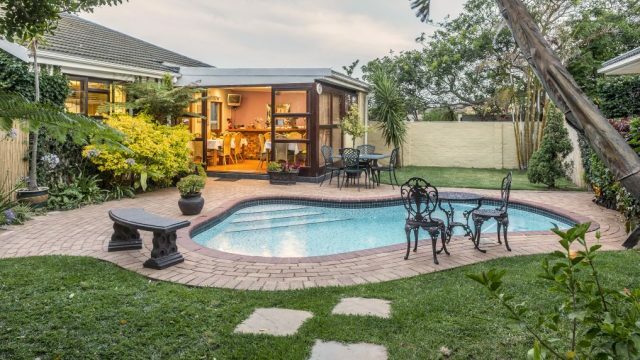 Port Elizabeth isn’t an A-list beach destination like Cape Town or business travel hub like Johannesburg, and as such doesn’t have the clientele to support five-star resorts or swank boutique hotels. But if you are looking for a wallet-friendly beach destination, then PE delivers a plenty. It is home to a number of good backpackers, guesthouses, B&Bs and more than one solid four-star hotel. The beachfront south of the CBD in the Summerstrand and Humewood neighborhoods is where you’ll find much of the best lodging in town, but there are a few other spots to check out. Away from the beach, Richmond Hill, just northwest of the city center, has a few cute guesthouses and a solid backpackers lodge sprinkled among its chic restaurants and bars. The Walmer suburb also hosts some fine guesthouses along with some good restaurants.